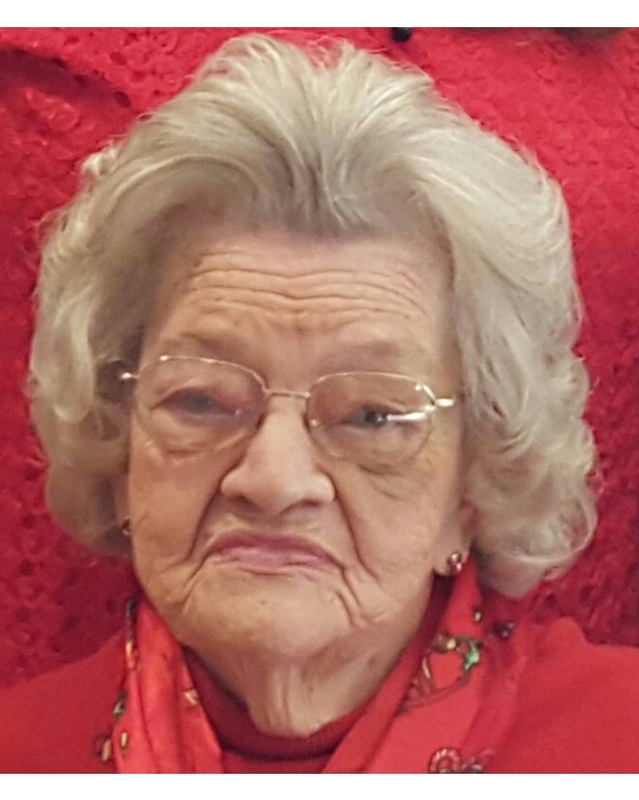 Margaret Campbell Amos, 87, of Roanoke died Tuesday, February 12, 2019. She is the daughter of the late Dewey and Ollie Campbell. In addition to her parents she is preceded in death by her sisters, Kathleen St. Clair and Jeanette Campbell; brothers, Frank and Ed Campbell. Surviving are her husband of 68 years, Willie “Bill” Lee Amos Sr.; children, Elaine Pleasants (Richard), Billy Amos (Bonnie), Sharon Bowman (Gary) and Karen Beamer; brother and sisters, Jack Campbell, Marie Campbell and Louise Beamer (Carl);10 grandchildren; 16 great-grandchildren; 1 great-great-grandchild; numerous nieces, nephews, cousins and friends. The family would like to thank all the staff at Raleigh Court Health & Rehab for all the care they provided for Margaret and to Carilion Roanoke Memorial Emergency Room for the care in her final hours. The family will receive friends 2-4 and 6-8 pm, Friday, February 15, 2019 at Lotz Funeral Home, 1001 Franklin Road, Roanoke. A celebration of Margaret’s life will be held 2 pm, Saturday, February 16, 2019 at Lotz Funeral Home Roanoke Chapel with Pastor Jeff Gardner officiating. Burial will follow at Martin Family Cemetery.